It’s a brand new year, and a fresh set of experiences are in the near future. You could be traveling to a different part of the world, starting a new job, discovering the great outdoors, connecting with friends or just reworking your current wardrobe. 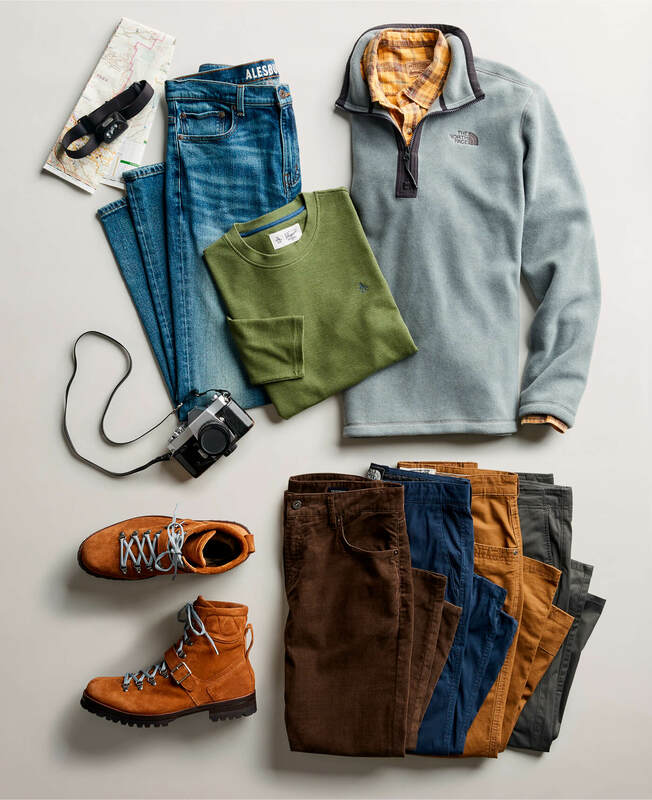 Whatever the new year brings, we’ve put together the right pieces so you’re set from season to season. Check out five outfit ideas, ready to go anywhere in the world in 2019. In or out of town, your look should be the same—smart casual. You want to be ready to go from a trip to a museum straight to dinner, without skipping a beat. 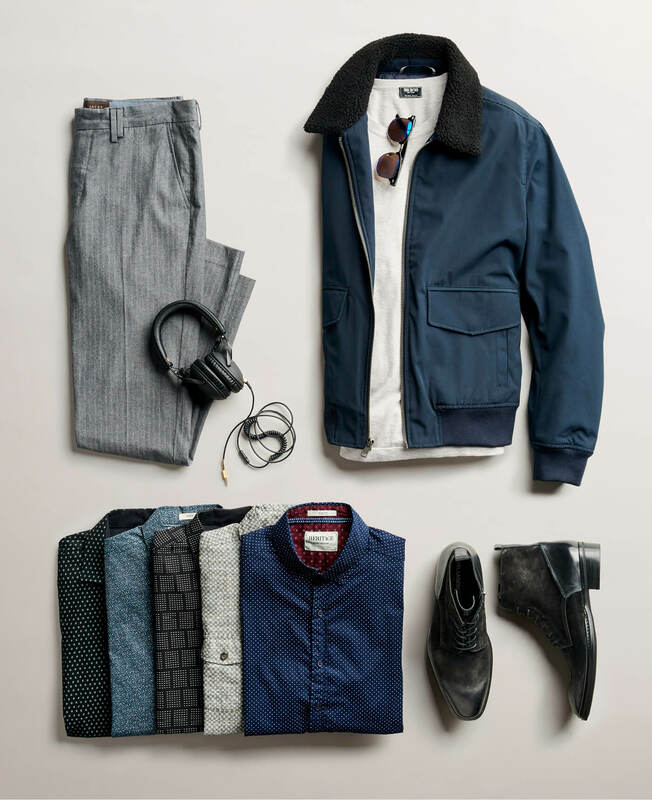 Prep for it all with a ton of shirt options in solids and prints, a slim pant that’s comfortable and easily switches from dressy to casual and a modern jacket that says local, rather than tourist. You’re hanging with the guys, reminiscing on the good ol’ college days. 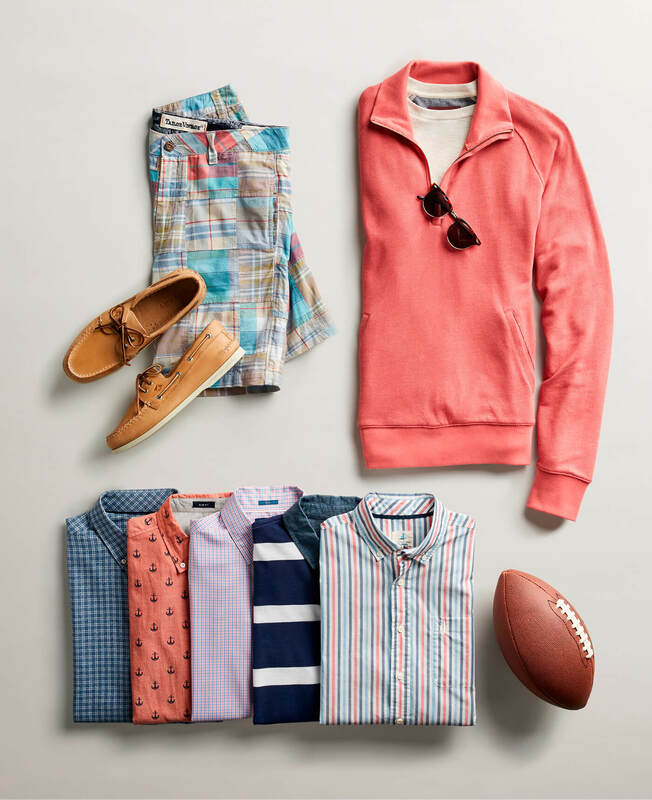 Keep that Ivy League vibe alive while you’re throwing around the football by mixing together soft-washed pieces in preppy stripes, plaids and prints. All that’s left is to add a few handsome accessories. Whether you’re an expert explorer or just starting out, you need the right gear. Aim for pieces in earth tones (the colors naturally complement each other well) that are comfortable and functional. A good performance pant that looks sharp and is designed to move is the perfect starting place. Don’t forget a sturdy pair of shoes with ankle support and a layer to block the chill. You just landed the job and now you need to dress the part. Stock your closet with an arsenal of workhorses that you can easily mix and match. 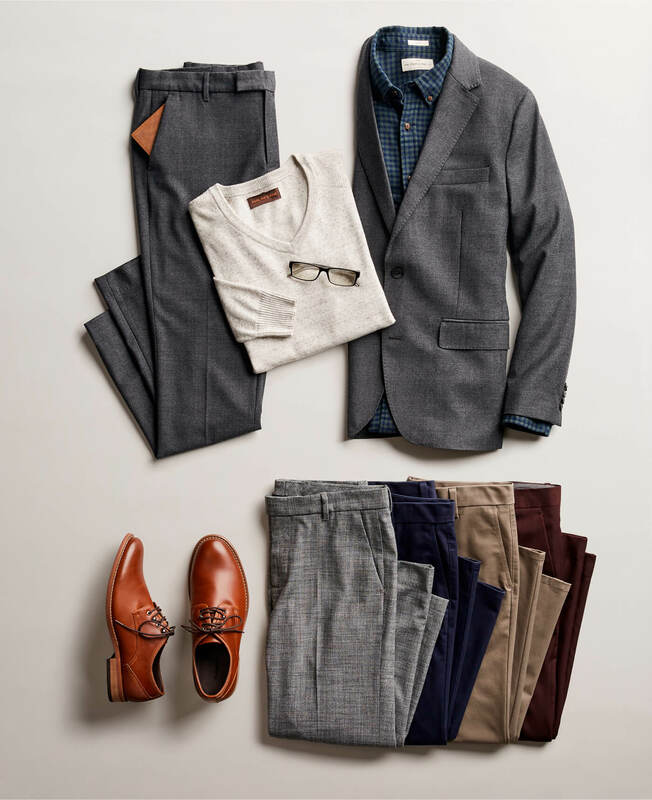 A gray suit will go a long way if you switch up your looks with dress shirts in different patterns, lightweight sweaters and fun ties. Throw in a few tailored pants into your rotation and invest in a classic pair of dress shoes. The key to looking like you mean business is fit—everything must fit your body just right. Vacation (or staycation) is calling. You’re heading towards the waves or at least thinking about them, and need some chill pieces to wear from sunup to sundown. 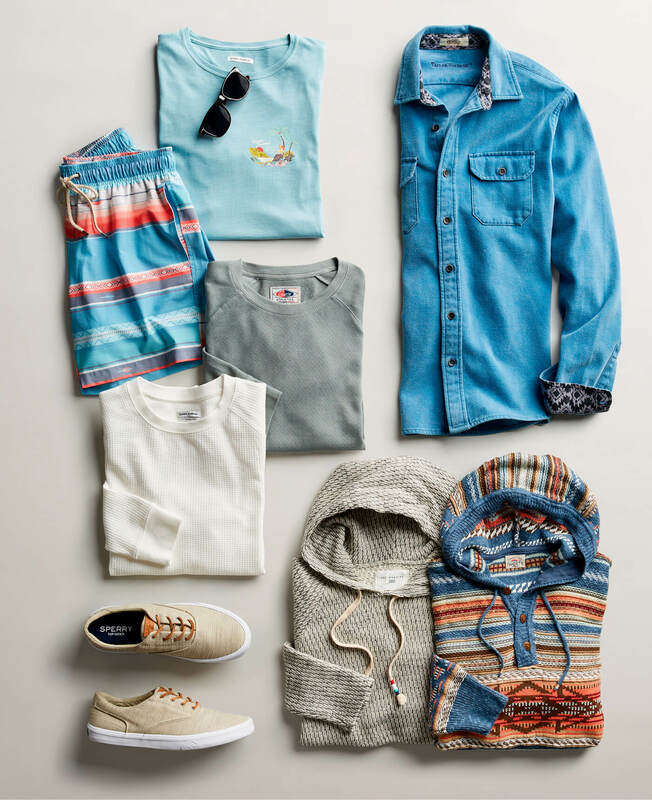 Graphic t-shirts and solid sweatshirts will keep your look relaxed, while a pair of swim trunks in a cool pattern work in and out of the water. It’s bound to get cold wherever you are, so layer a denim shirt or novelty hoody on top of everything. Now it’s time to slip on some sneakers and hit the boardwalk. Once you have your closet or suitcase set, the stress of what to wear disappears—and makes embarking on that new journey exciting. Now that you have your style map in mind, ask your Stylist to get you the coordinating pieces.